Professor Perspectives: Should Student Athletes Be Paid? Today there are close to 500,000 student-athletes competing in the U.S., but only around 1 percent of them will go pro. Some would argue, though, that student-athletes are already professionals, and that the idea of amateurism is a misguided one. To that point, Northwestern University’s football team, in an unprecedented move, is attempting to unionize in order to gain representation in negotiations. The team says it wants the right to bargain for its “physical, academic, and financial protections.” They do not claim to want to be paid—but many suspect that stipulation wouldn’t be far behind. His argument: Yes, to an extent. I have heard some debate about schools benefiting financially from student athletes to the tune of millions of dollars, while the athletes themselves scrape by while in school and see nothing afterwards unless they become a professional athlete. When phrased that way, it seems unfair. But athletes are often compensated through athletic scholarships and will not have that debt when they graduate. They also understand what they are getting into when they agree to attend a school and play sports for the school. But relieving young student athletes of financial costs associated with going to school and playing sports makes sense. Turning collegiate sports into play for significant pay, however, is fraught with dangers for the student athlete and it is distracting to academics and the reasons to play sports for one’s school. Lastly, as few will gain income from professional sports or tangential careers in coaching, broadcasting, and the like, paying student athletes gives a distorted vision of life after school. Her argument: No, they are already paid. Student athletes are paid by being given a scholarship. They are paid by being given free help: they often have their own computer labs in the athletic buildings, free tutoring, free academic advocates (anyone who has taught at the collegiate level knows that they will constantly be bombarded by athletic tutors who want to find out why the student athlete is failing or doesn’t have their assignments in, and will ask for extensions or for easier assignments). In other words, student athletes basically have personal assistants, which is something no other student can afford. They are paid by being given an advantage. If student athletes are going to be paid, then make them paid athletes, and not students. I already believe you cannot juggle the two—these students see athletics first, and college somewhere else way down on their priority list, after partying, boyfriends/girlfriends, social life, family, fun, etc. Also, taking money away from the mission of the college/university—to educate students and conduct research—to funnel to paid athletes seems counterintuitive. What is ultimately important? It should be paying the brainpower, not paying the muscle. His argument: Yes, they are effectively unpaid employees who deserve compensation. Division I (D-I) college sports are not about the idea of the student-athlete, at least not when it comes to football and basketball. It is a multi-billion dollar business where everyone makes money except the students. They are the source of all the profits and money, but they get little in return. They are perhaps the most exploited workers in America. That is why they deserve to be paid in some circumstances. Colleges use D-I students to make money and promote their brand. These students put in thousands of hours of practice, often receiving marginal academic support or they are pushed into dead end majors. They are effectively unpaid employees. Few of them go pro. After four years of school they are let without much to show for their education while the schools, the media, and everyone else has made a ton of money off of them. The students deserve a better deal. 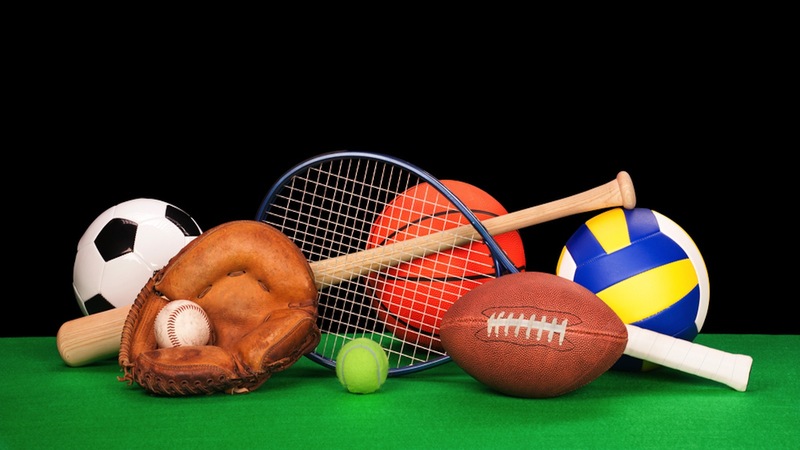 Certainly not all students and athletic programs are as bad as basketball and football, but at least with these two sports the students deserve to get their fair share. His argument: No, it would destroy the connection between sport and the university. Athletes are already paid. They receive annual remuneration that, depending on where they play, might be $40,000 per year or more when tutoring services, athletic dining halls, and other service fees are taken into account. Some even choose to use that support to get an education. The effort to gain pay for college athletes also rests on the fallacious assumption that sport at the university is profitable. Perhaps a few programs can report a net profit for their athletic programs, but the vast majority cannot. If athletes are paid, the ripple effect of that action might well do to college sports what generations of reformers have sought unsuccessfully to do: destroy the connection between sport and the university. His argument: Yes, a stipend would help students, especially at community colleges. A problem with the debate over student-athlete pay is its obsession with the tippy-top of sports programs and players. With the Notre Dame football program’s TV rights worth $150 million and the average salary of a football coach at a doctorate-awarding university more than 10 times the average of the tenured faculty, the sheer amount of money surrounding so-called amateur games is simply stunning. But the vast majority of student-athletes do not play in these programs, competing instead for institutions with smaller budgets and less prolific programs. In fact, about 50 percent of all undergraduate students attend community colleges. A stipend or pay for these student-athletes would not pollute the glory of amateur sport—itself a holdover from Victorian notions of leisure tied to cricket—but would instead provide a qualitative easing of their financial lives and daily schedules. Nearly all of my students work 20-plus hours a week in addition to their schooling. Community college student-athletes are additionally hindered because they also have to squeeze training, traveling and playing into schedules already full of classes, homework, jobs and family obligations. In addition, Camden County College and many other community colleges do not even offer athletic scholarships. Yet community college student-athletes are in the most need of some kind of pay or stipend since so much of their “spare” time must be spent earning money to pay for necessities. Anything that helps student-athletes succeed in the classroom and on the field while allowing them to work less in fast-food or retail would be money well spent. His argument: No, their job is to be a student. I once had a student at another university who disappeared for three weeks just before the mid-term exam. When he came back, he told me he had been trying out for a professional football team. I showed compassion and gave him an “incomplete,” working with him during the next semester, using my own time. I gave him a “practice” final exam, which was identical to the actual final exam, and he still only wound up with a “C.” Which he then complained to me about. Sporting equipment image courtesy of Shutterstock.